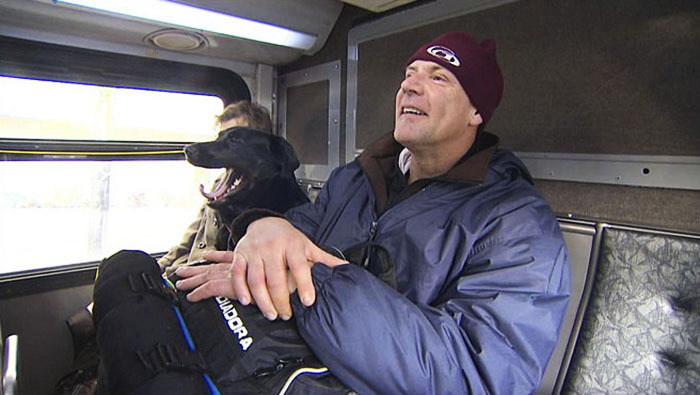 It all started when the black Labrador and Mastiff mix was at a bus stop with her owner Jeff Young. Her human was taking too long to finish his cigarette. 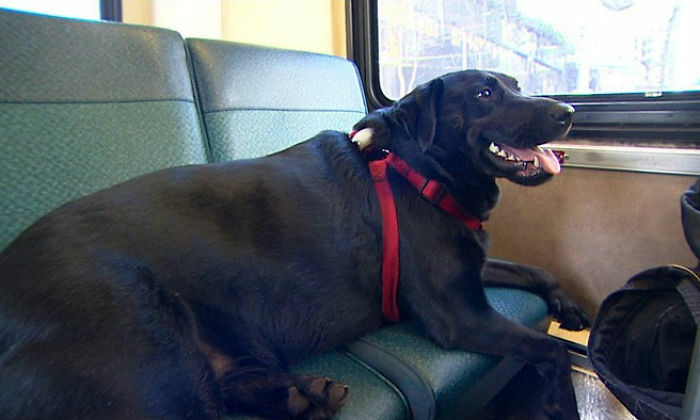 So, when the bus arrived, the pooch just got on it by herself and got off at the park. Since that day, the owner knows he can always catch up with her later in the park. 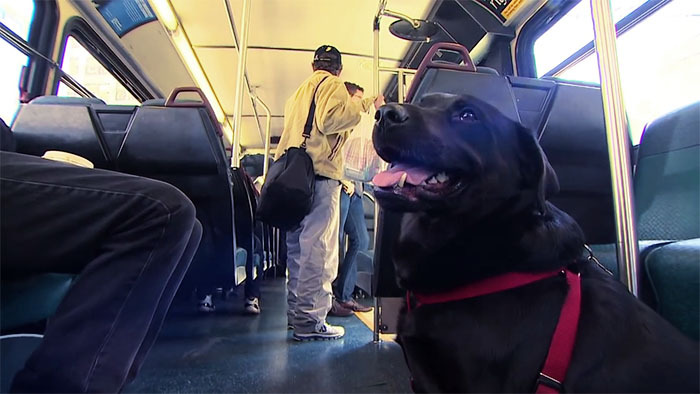 The guy realized this smart girl can ride those 3-4 stops on the D line on her own and always knows where to get off. 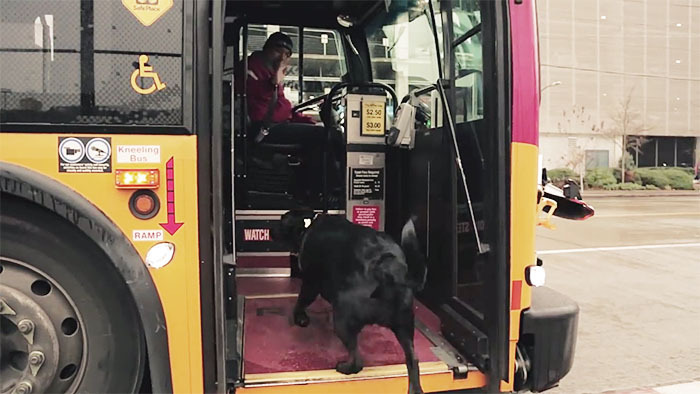 Although some officers say that Eclipse should ideally be on a leash, King County allows dogs on public transport at the discretion of a driver. 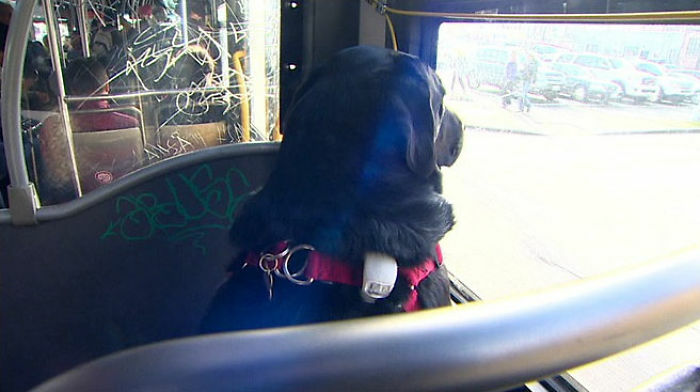 So, as this pooch causes no harm but only makes passengers smile, the drivers are always more than happy to give this four-legged miss a lift. What about the doggie herself? Well, she seems to be proud of herself. 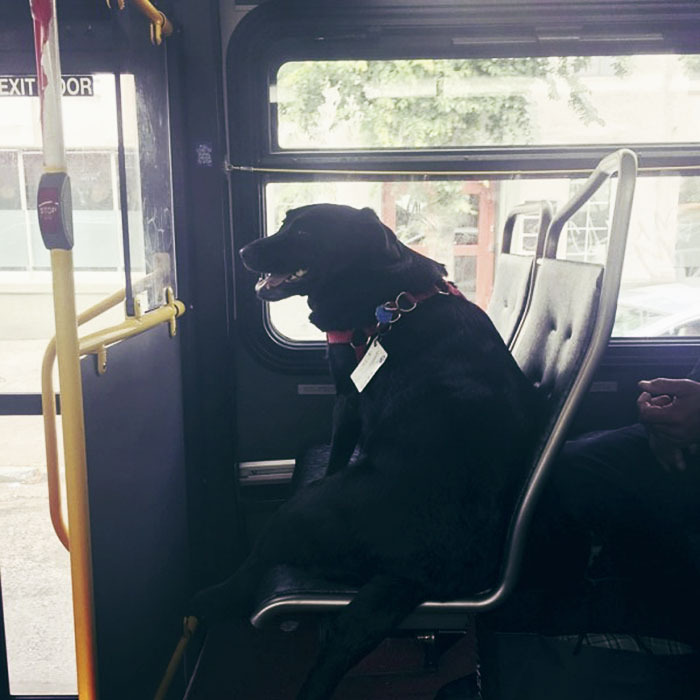 Besides, her Facebook profile says: “I love my big city life and enjoy taking the D line daily to the Belltown dog park.” What a smart doggie!